Gakenge – A new born baby for the first few months or so. After that he is referred to as Kaana, baby. Major ceremony – Being born, gūciarwo kwa mwana. Kīhīī – A big boy nearing circumcision which would be anything from 12 to 18 years. To be called a Kīhīī (Kīhīī gīkī), is an insult as it is a reference to the fact that one is due or overdue for “straightening” – nī ūtigītie handū. Mumo – Kiumīri (sing), Literally means “coming out”, “emerging” like a butterfly from a cocoon into the full broom of God’s creation. Circumcision ceremonies – These were the most important of the Gikūyū ceremonies of becoming. Mambura ma irua. Mwanake – A young man until marriage. God’s material creation in its full glory. God, Ngai, did not create a child but a fully grown man. A young man is literally God’s fragment that was fashioned into a man by the creator, Mūmbi. 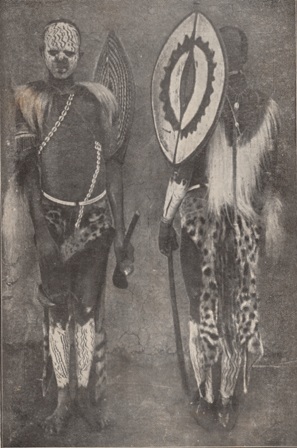 Mwanake nī kīenyū kīa Ngai. Mwanake wa Njaama ya ita is a member of the warrior coupes, military. Mwanake wa Njaama ya kamatimū is a member of the policing and guard coupes, Police. Mūthuuri – Karabai. Married man who can still be called upon to serve military duty in a major war. Mūthuri wa Kīama – An elder who serves in one or more of the many Councils. 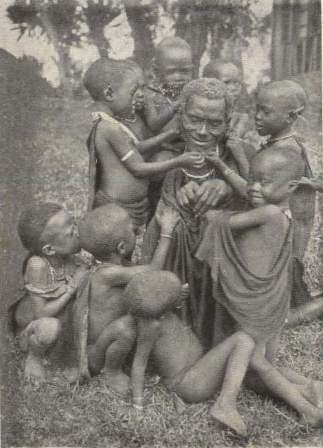 Because the Gikuyu system of government had no chiefs or kings, all government was through consensus in the various tribal Councils. Some were standing Councils with a membership representing the various clans. Other Councils were constituted on demand. To be a member of a Council was through the payment of a goat to the Council and there were three levels just as there are three levels in academia today, the Bachelors Degree, The Master’s Degree and the Doctor of Philosophy, PhD. Elders do not serve in the military or police coupes. Nota bene: There were no serious ceremonies to do with death in Gīkūyū tradition as the Gīkūyū were highly biophilic and all major ceremonies had to do with life or its propagation. Necrophilic societies have death as their major ceremonies. In The Republic, Plato explains that there are three classes of men – Lovers of wisdom, lovers of honor and lovers of gain. The lovers of wisdom are those individuals in which the Soul of reason has taken control. The lovers of honor are dominated by by the Soul of will, and the lovers of gain by the Soul of appetite. It was reckoned that the Soul of appetite was located in the belly, the Soul of will in the heart and the Soul of reason in the head. Spiritual development or becoming entailed the mastery of the negative impact of these Soul aspects on one’s personality and nurturing the positive aspects. The positive aspects of Soul, solidified in the character of a man into the three virtues namely Temperance, Strength and Prudence. The negative aspects or lack of the first virtue,Temperance in a man are gluttony, lust, greed and a failure to control the sensuous side in him. Drunkenness and legal or illegal drug abuse are characteristic of such a man and examples of such men are legion especially in all classes of Gīkūyū society. The positive aspects or Temperance solidify in a character that has, harmonious relationships, health and beauty. The negative consequences of having a false sense of the second virtue, Strength are a love of prestige, power, excessive control, cruelty and anger. True Strength or Fortitude solidifies into self mastery, discipline, courage and compassion. The positive aspects of the third virtue, Prudence are wisdom, good judgement, sagacity and the use of reason. Failure to master Prudence obviously leads to poor judgement. In the final development of the Gīkūyū man, the effect of all three Soul aspects will have solidified into a personality fit to be inducted into the Council, Kīama. If the Soul of appetite is unchecked the man will exhibit all the excesses of rust, gluttony, sensuousness and greed. He will be what they call a gīthagathago, a good for nothing unfit to give the first goat, Temperance, Ūiganīrīru, to the Kīama. The temperate man is a man of moderation in all things, a man with self-control – a man of discipline. Plato does go further to say that a fourth virtue, Justice, Ūiguithania, in which all three virtues of Temperance, Strength and Prudence merge into a World Soul is possible to an individual who becomes a Philosopher King. This could be equated to the highest possible rank in the ladder of Gīkūyū emanation, the Muthamaki. When this happens the individual is said according to Plato, to be “ruled by the divine wisdom dwelling within him.” A Muthamaki, or Philosopher King emerges not from the will of man neither by his own will but by divine authority, through the Grace of the most high God, Mwene Nyaga. He usually emerges during a critical stage in a society and guides the people through the appointed task and then vanishes. He is not an object of adoration by the popular mind and is not necessarily popular or of a great age. Boy kings like Tutenchamun, Solomon, David come to mind. 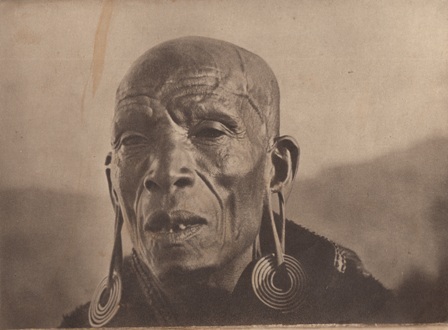 The first Gīkūyū man, who according to Gīkūyū lore is the image of the perfect man was made from a fragment of God, Mwene Nyaga and is the image every Gīkūyū man and woman looks up to, prays and works to become. This generic man, who includes all genders, male and female is a happy balance of all four virtues and is what is depicted in the Gikuyu cross, Nyumba. Young woman, kang’ei, with twins, mahatha. 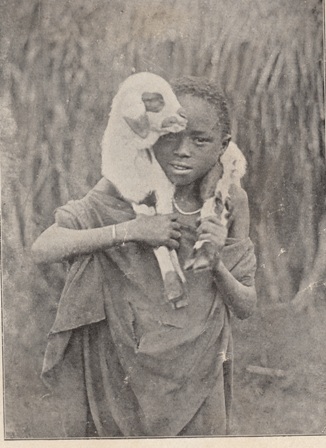 Young boy, Kahīī, with best friend, a kid. The Library surrounded by eager students. The old man’s task is to tell stories. Stories and more stories. I was very MOVED by this piece! Eloquently elucidating on Plato’s The Republic in connection with the stages of our Gīkūyū man points to the universality of the divine wisdom embodied in most philosophic thought. It is iteresting how Western scholarship has tried to belittle and undermine African cultural practices and especially philosophy yet people like Plato visited Egypt and based most if not all Greek philosophy from the books stolen from the Alexandria library. The library was looted and later burnt to erase Africa as a source. 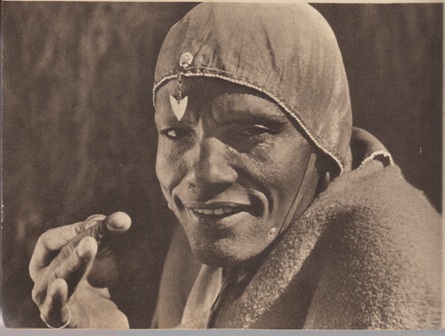 A lot of Egyptian thought came from around Ethiopia and it is certain that certain groups of the Kikuyu came from there and that is probably why the Ethiopian Cross is encoded as the basis of Kikuyu philosophy. Philosophy is ALWAYS encoded in symbols. The four virtues are the four sides of the Gikuyu Nyumba The man is Fire, Prudence, Ruri, the boy is Wind, Strength, Kweru. The girl is Water, Temperance, Kiriri and the woman is Earth, Uriri, Justice. We will discuss this in a future writeup on this site. We need more of this. Young eager minds and souls can benefit with the insights. We can stop the brainwash. Let’s more of this be published. How else could i have known this? More of what i only thought in abstract is now taking form. Wonderful that you have this page! Plato’s professor, who taught him for about 15 years around 2,400 years ago, was Sechnouphis which is his Greek name. This African scholar and philosopher was called Kamit “Se Ankh Nefer” meaning “The perfect invigorating”. He taught at the University of the Great Temple of Iounou in On. Although the great African mathematician Euclid lived there most of his life, Alexandria, founded by alexander the Greek could not have had a larger library than the other learning centers such as Waset and On Arabized to Luxor and Cairo. It is therefore interesting that the Greeks would have burnt it down. 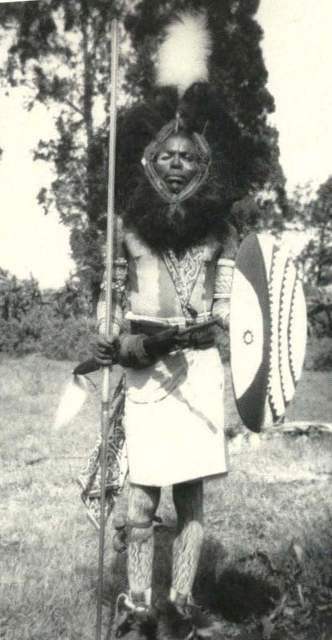 You are doing a great job of documenting the culture of the kikuyu people. Priceless. We need more of this to capture the beautiful tapestry that make Kenya. There is no culture called Kenyan. True Kenyan culture is the rich diversity of cultures of the different nationalities that make up Kenya. How do I get hard copies I can donate a few to a few friends? Quite enlightening,thank you for the work you are doing. Am learning so much I didn’t know and wonder if most of the problems we experience today are as a result of lack of knowledge. I hope we’ll teach our children what we learn so it we don’t loose it. Very insightful piece. I have learnt alot about my culture. Very interesting piece and great insights too…wish we had more of such content online so we can learn about our heritage!